Have you subscribed for the latest etisalat BB10 bblite plan on android and you've not been unable to use it? 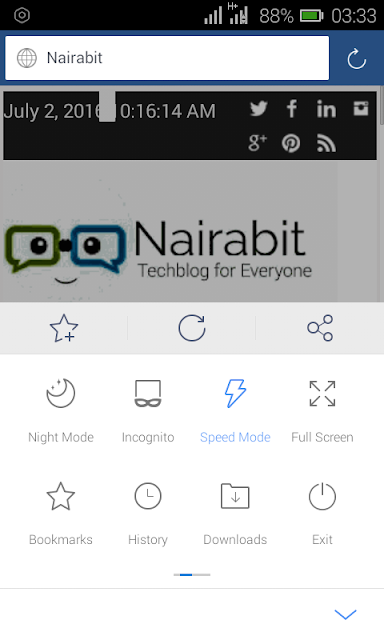 Or you intend to subscribe but heard its no longer working on android?, well, all I can say is that nobody should say goodbye to rocking etisalat bblite on android device yet. It seems etisalat has blocked the working settings on psiphon handler as well as tweakeware handler but all thanks to this man called Dzebb, who developed UCmini handler browser, we can now continue to rock etisalat bblite on android devices. If you want to subscribe to etisalat bblite plan, read the previous post I made below. I know it's not much because it doesn't power all applications, it restricts you to just the UC mini handler browser but we can make do with this , especially for downloads until something better arrives. That's all, the UCmini browser will open and you can brows and make use of its fast download speed. Like our facebook page here to receive latest updates and use the comment box below for any issues or feedback.